Where Are We And What’s Happening? 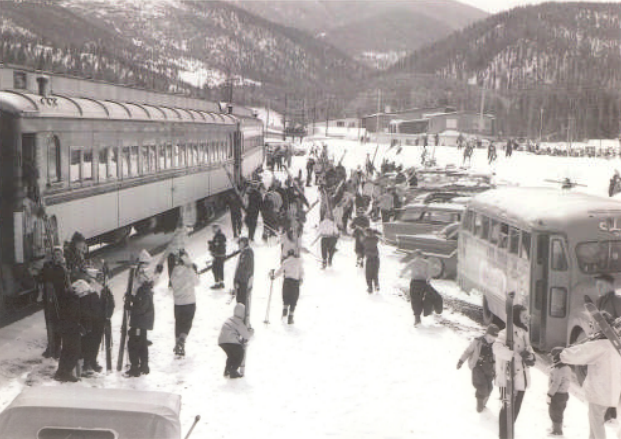 Thanks to the Colorado Ski & Snowboard Museum for providing this picture from ski history. The CS&SM is in the process of undergoing a $2.4 million renovation. The first of several exhibits, “Climb To Glory”, featuring the story of the 10th Mountain Division is now open. Other exhibits will be open at the end of April this year. The museum is located in Vail Village, CO. This is another ski history legend. 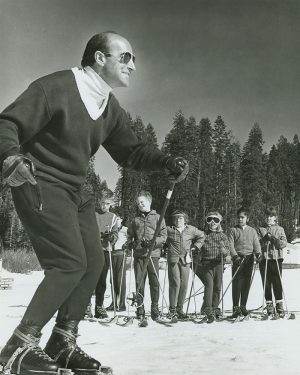 Nic Fiore was an influential ski instructor and director of the ski school at Yosemite’s Badger Pass for 50 years. His friendly smile and charming French-Canadian accent attracted skiers who came to Badger Pass every year to learn from and ski with Nic. 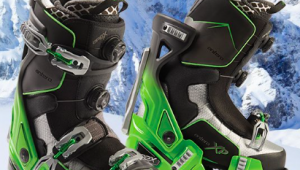 He was an early member of the California Ski Instructors Association in the late 40s. At the time, he was concerned about the quality and consistency of ski instruction, becoming a voice for a national ski instruction organization. 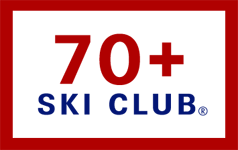 When the Professional Ski Instructors of America was founded in 1961, Nic remained committed to high standards for instructor certification. Nic Fiore was an active skier well into his 80s. He continued to hit the slopes nearly every day and teach an occasional ski lesson into the 2003-04 season. Nic passed away at 88 in 2009. Here’s Nic on the lift at Badger Pass. Note his enthusiasm and magnetic personality. Thanks again to the Museum of Sierra Ski History for sending Nic’s photo. The MSSH is located at the Gateway Museum at Lake Tahoe, CA. Isn’t this the ski train from Denver to Winter Park? Gulp. We missed that and inserted the link. Thanks Roger. Ski trains were popular to get people to and from the eastern metro area of New York/ Boston to the eastern mountains. So I am guessing some where around the eastern rim Ski areas.